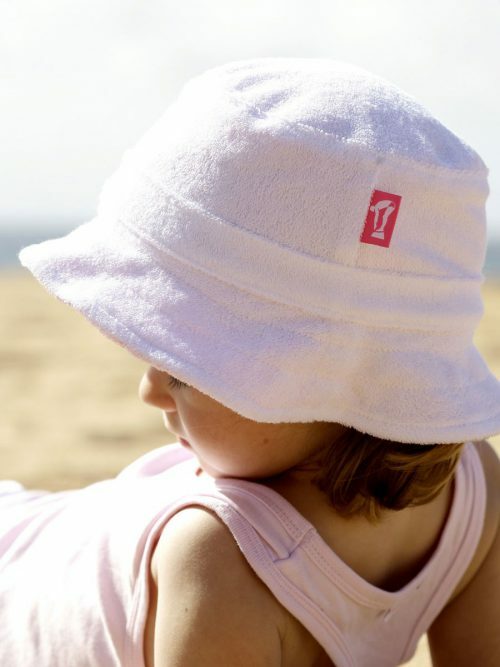 Our unique towelling swimming robes and parkas are designed to keep you warm, dry and covered up after a dip in the pool or a day at the beach. 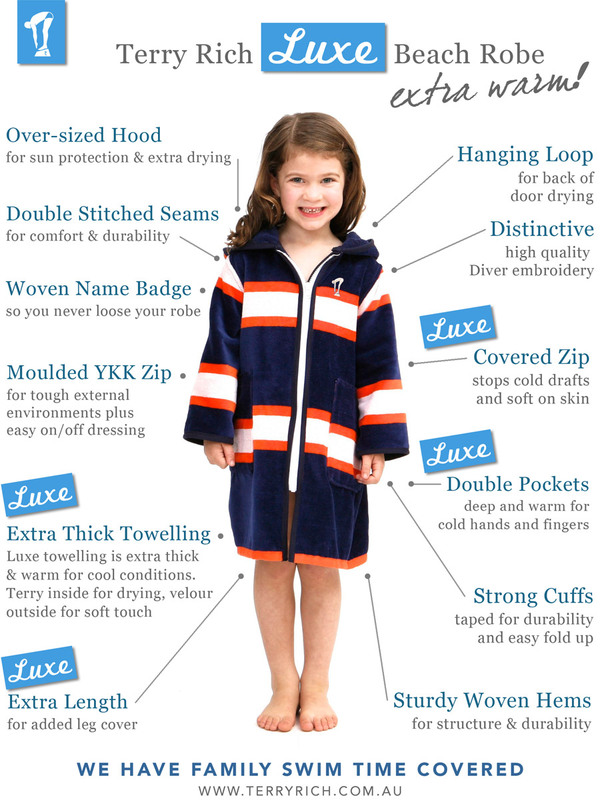 At Terry Rich we have two main styles of swim robes, our sleeved and sleeveless ranges. Some people prefer the full cover-up and added warmth of the sleeved swim robes while others prefer the freedom of the sleeveless style. 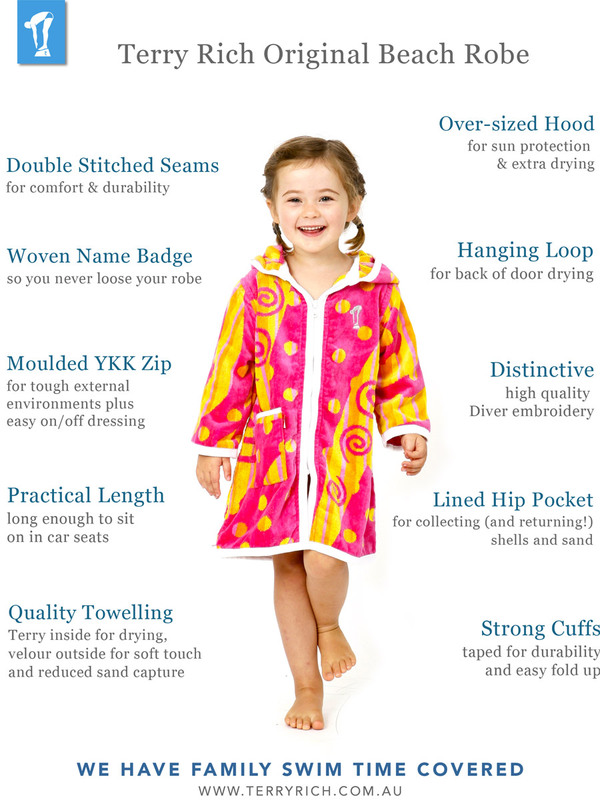 The diagrams below outline the features of these two robe styles. 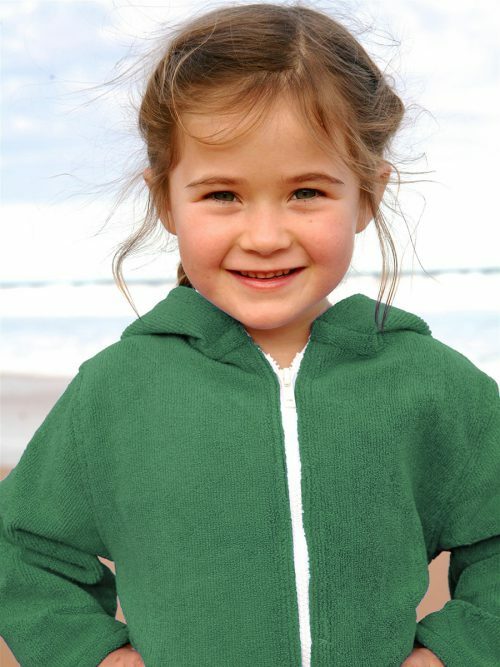 • Large, double pockets at the front to keep young hands warm!